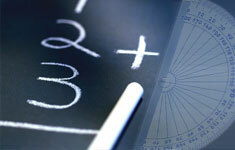 Objective Learn the concept of square root and how to find squares and square roots. In this lesson, you will work with squares and square roots. In order to find or approximate square roots, you must be familiar with perfect squares. Recall that the squares of a number and its opposite are equal. That is, x 2 = ( -x ) 2. Finding a square root is an inverse operation to squaring a number. The square root of a number is one of its two equal factors. In symbols, if x 2 = y , then x is a square root of y . Every positive number has two square roots that are opposites. For example, 2 and -2 are square roots of 4. The number 0 only has one square root, namely 0 itself, because 0 2 = 0, and -0 = 0. How many square roots does a negative number have? None; the square of any number is positive or 0, and so no number can have its square be a negative number. Therefore a negative number has no square roots. The symbol , called the radical sign , is used to indicate a nonnegative square root. For example, . In particular, is not equal to -2. Write true or false. Explain your reasoning. 1. True; because and 7 is positive. So, by taking the opposite of both sides, we have . 2. False; since -49 is negative, it has no square roots. So, is undefined. The difference between Exercise 1 and Exercise 2 may be confusing. We can take the opposite of the square root of a positive number. However, we cannot take the square root of a negative number. The square root of a negative number is undefined. So far, we have worked with numbers whose square roots are perfect squares. When taking a square root of a number that is not a perfect square, we need to approximate the answer. Consider the following example. Find the perfect squares closest to 125. We know that 121 = 11 2 and 144 = 12 2 . Therefore, we can conclude that is between 11 and 12. Since 125 is closer to 121 than to 144, we can conclude that is closer to 11 than to 12. So, we can approximate to be about 11.